In another bowl, beat the eggs, sugar, and lemon zest with an electric mixer for about 5 minutes or until the mixture forms a ribbon when the beater is lifted. With a whisk, gently fold in the dry ingredients. Fold the butter in the same way. Cover and refrigerate for at least 30 minutes. With the rack in the middle position, preheat the oven to 200 °C (400 °F). Butter and flour a small madeleine pan. Set aside. Fill each cavity three-quarter up with batter. Bake for 8 to 10 minutes or until the madelienes are lightly golden brown. Remove from the pan and let cool completely on a wire rack. Repeat with the remaining of the batter. If desired, serve with lemon curd. This batter will keep for three to four days in the refrigerator. 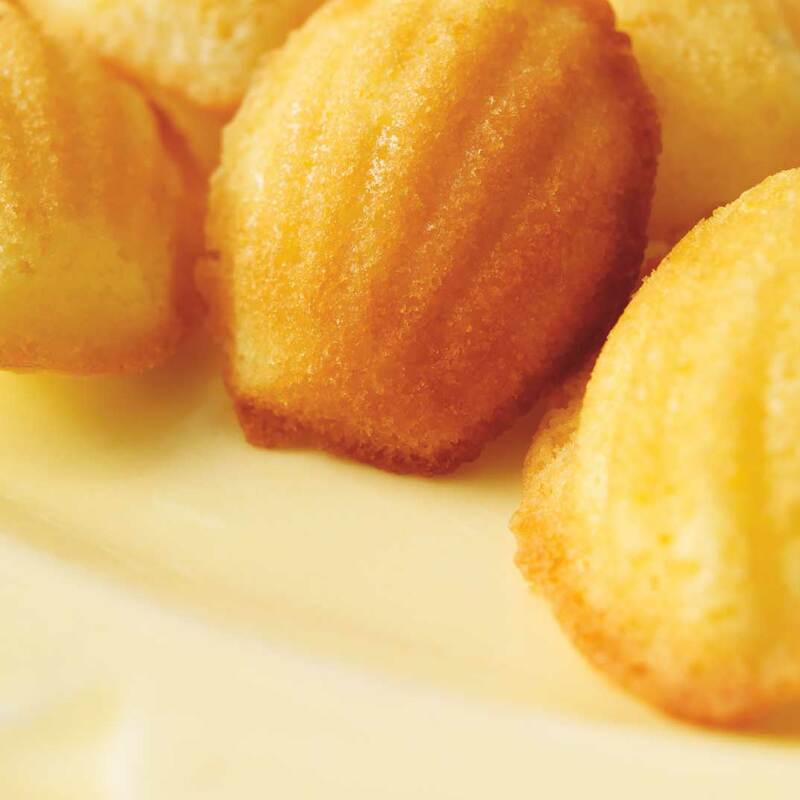 Madeleines are best baked the same day they will be eaten. 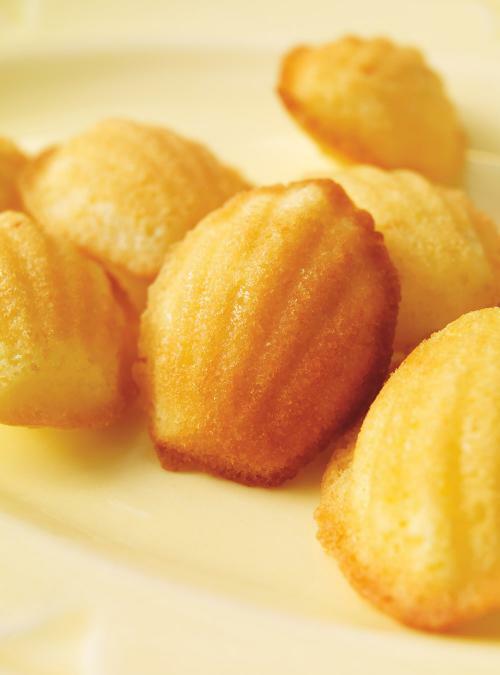 The baking time for standard-sized madeleines is about 14 minutes. I made these and did three batches to get almost 3 trays of madeleines and they were a hit! I will probably bake them for about 6-7 min. and then let them rest as it got too dry after the madelines cooled down. They were perfect right out of the oven. The best recipe I've tried so far. 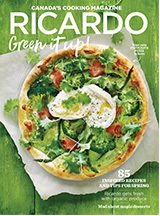 This is a nice recipe but it is wrong in saying two eggs. I think you mean two egg yolks. Creaming eggs and sugar is always just the egg yolk. Once I tried it with the correction, it worked fine. I will put a little less sugar next time, but definitely delicious Madeleines! Pretty simple recipe and super tasty results. Although I'd suggest increasing the quantities by at least one third to have a decent amount of madeleines.